The Polycom Vortex EF2210 is a single-channel mixer for use with one microphone of your choice. 1 Year Warranty and Tech Support Included. The Polycom Vortex EF2210 allows you to experience the legendary Polycom voice clarity in smaller room environments. The Polycom Vortex EF2210 is a single-channel mixer for use with one microphone of your choice. The Polycom Vortex EF2210 features a built-in “phone add” to bring a single analog phone caller into the conference. The Polycom Vortex EF2210 uses industry-leading acoustic echo cancellation technology, which keeps received audio from being re-transmitted to its original location, and patented noise cancellation algorithms which dramatically reduce ambient noise in the audio transmitted to other sites without affecting speech quality. The Polycom Vortex EF2210 includes a microphone input with a neural network Automatic Gain Control that reacts only to valid speech patterns to bring voices within desired levels. 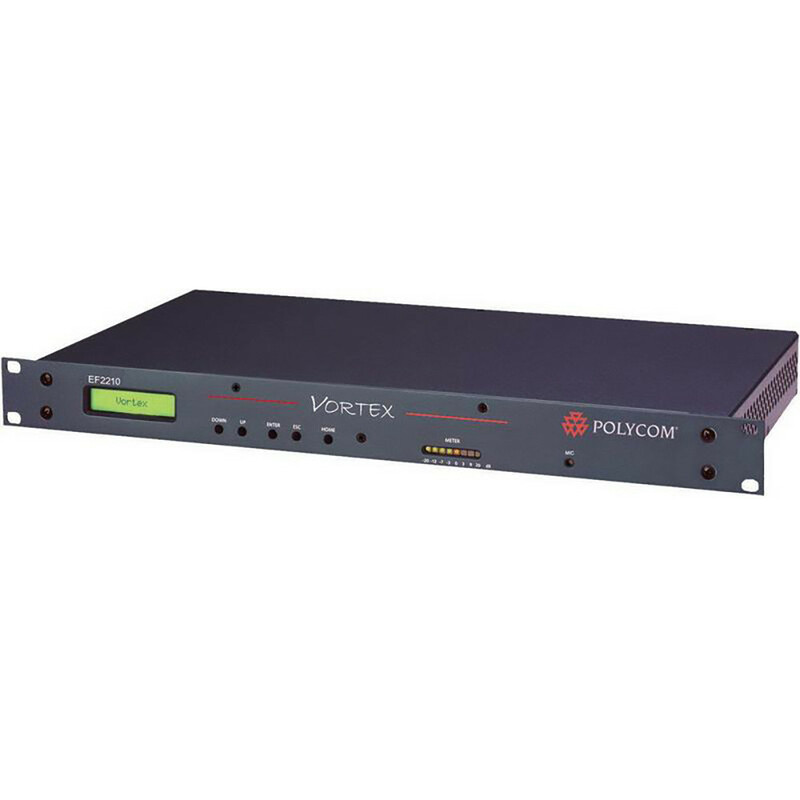 The Polycom Vortex EF2210 has AGC controls which are user-adjustable, with settings for the 5-band parametric EQ offered on all input and output channels in the Polycom Vortex EF2210. The Polycom Vortex EF2210 can be integrated with Polycom videoconferencing products. Refurbished Polycom Vortex units include all required cables, accessories, remote installation assistance, on-call technical support, and a one-year warranty which covers repair or replacement by 323.tv.